New teacher, new year start up visual vocabulary word bank. Introduce like anchor charts, play with the words. Language learning begins at your feet, you have to move it, feel it, do it, then it migrates up your body to your head where you can speak it, read it, write it. Move and feel the language first. Post these to your school website for parents to consult and print. 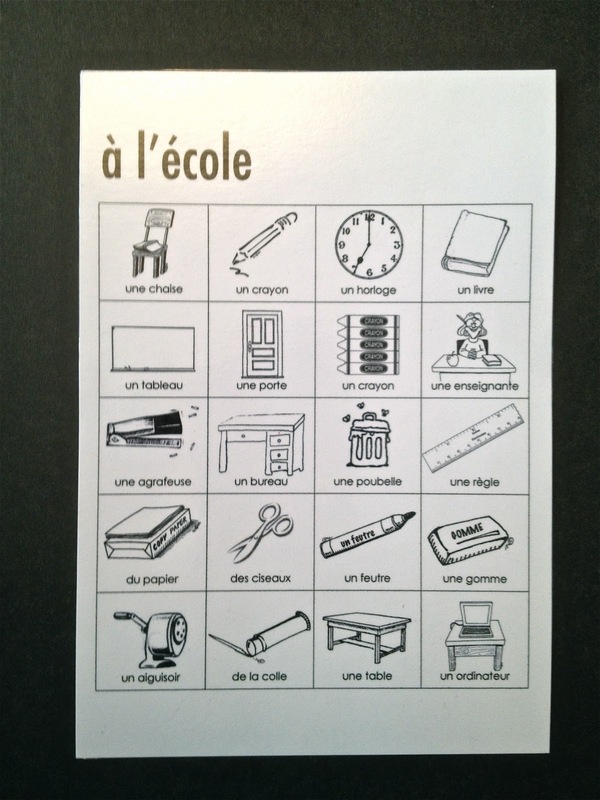 in small groups or whole class students choose a word and mime it, others must identify it with "C'est de la colle." 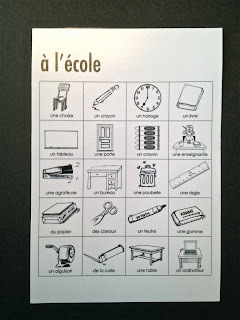 As they are able students add, "Voici un crayon, c'est orange." as an exit pass students scatter, find an item in the room and use it in a sentence, "Voici un livre."